The actinide /ˈæktɪnaɪd/ or actinoid /ˈæktɪnɔɪd/ (IUPAC nomenclature) series encompasses the 15 metallic chemical elements with atomic numbers from 89 to 103, actinium through lawrencium. Strictly speaking, both actinium and lawrencium have been labeled as group 3 elements, but both elements are often included in any general discussion of the chemistry of the actinide elements. Actinium is the more often omitted of the two, because its placement as a group 3 element is somewhat more common in texts and for semantic reasons: since "actinide" means "like actinium", it has been argued that actinium cannot logically be an actinide, but IUPAC acknowledges its inclusion based on common usage. The actinide series derives its name from the first element in the series, actinium. The informal chemical symbol An is used in general discussions of actinide chemistry to refer to any actinide. 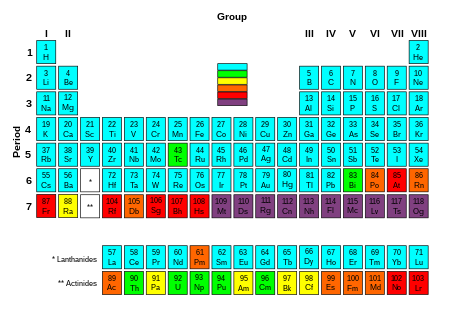 All but one of the actinides are f-block elements, with the exception being either actinium or lawrencium. The series mostly corresponds to the filling of the 5f electron shell, although actinium and thorium lack any 5f electrons, and curium and lawrencium have the same number as the preceding element. In comparison with the lanthanides, also mostly f-block elements, the actinides show much more variable valence. They all have very large atomic and ionic radii and exhibit an unusually large range of physical properties. While actinium and the late actinides (from americium onwards) behave similarly to the lanthanides, the elements thorium, protactinium, and uranium are much more similar to transition metals in their chemistry, with neptunium and plutonium occupying an intermediate position. Of the actinides, primordial thorium and uranium occur naturally in substantial quantities. The radioactive decay of uranium produces transient amounts of actinium and protactinium, and atoms of neptunium and plutonium are occasionally produced from transmutation reactions in uranium ores. The other actinides are purely synthetic elements. Nuclear weapons tests have released at least six actinides heavier than plutonium into the environment; analysis of debris from a 1952 hydrogen bomb explosion showed the presence of americium, curium, berkelium, californium, einsteinium and fermium. Like the lanthanides, the actinides form a family of elements with similar properties. Within the actinides, there are two overlapping groups: transuranium elements, which follow uranium in the periodic table—and transplutonium elements, which follow plutonium. Compared to the lanthanides, which (except for promethium) are found in nature in appreciable quantities, most actinides are rare. The majority of them do not even occur in nature, and of those that do, only thorium and uranium do so in more than trace quantities. The most abundant or easily synthesized actinides are uranium and thorium, followed by plutonium, americium, actinium, protactinium, neptunium, and curium. The existence of transuranium elements was suggested by Enrico Fermi based on his experiments in 1934. However, even though four actinides were known by that time, it was not yet understood that they formed a family similar to lanthanides. The prevailing view that dominated early research into transuranics was that they were regular elements in the 7th period, with thorium, protactinium and uranium corresponding to 6th-period hafnium, tantalum and tungsten, respectively. Synthesis of transuranics gradually undermined this point of view. By 1944 an observation that curium failed to exhibit oxidation states above 4 (whereas its supposed 6th period homolog, platinum, can reach oxidation state of 6) prompted Glenn Seaborg to formulate a so-called "actinide hypothesis". Studies of known actinides and discoveries of further transuranic elements provided more data in support of this point of view, but the phrase "actinide hypothesis" (the implication being that a "hypothesis" is something that has not been decisively proven) remained in active use by scientists through the late 1950s. At present, there are two major methods of producing isotopes of transplutonium elements: (1) irradiation of the lighter elements with either neutrons or (2) accelerated charged particles. The first method is most important for applications, as only neutron irradiation using nuclear reactors allows the production of sizeable amounts of synthetic actinides; however, it is limited to relatively light elements. The advantage of the second method is that elements heavier than plutonium, as well as neutron-deficient isotopes, can be obtained, which are not formed during neutron irradiation. 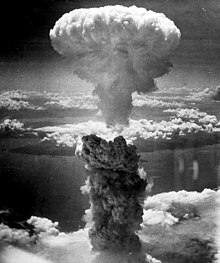 In 1962–1966, there were attempts in the United States to produce transplutonium isotopes using a series of six underground nuclear explosions. Small samples of rock were extracted from the blast area immediately after the test to study the explosion products, but no isotopes with mass number greater than 257 could be detected, despite predictions that such isotopes would have relatively long half-lives of α-decay. This non-observation was attributed to spontaneous fission owing to the large speed of the products and to other decay channels, such as neutron emission and nuclear fission. Uranium and thorium were the first actinides discovered. Uranium was identified in 1789 by the German chemist Martin Heinrich Klaproth in pitchblende ore. He named it after the planet Uranus, which had been discovered only eight years earlier. Klaproth was able to precipitate a yellow compound (likely sodium diuranate) by dissolving pitchblende in nitric acid and neutralizing the solution with sodium hydroxide. He then reduced the obtained yellow powder with charcoal, and extracted a black substance that he mistook for metal. Only 60 years later, the French scientist Eugène-Melchior Péligot identified it as uranium oxide. He also isolated the first sample of uranium metal by heating uranium tetrachloride with metallic potassium. The atomic mass of uranium was then calculated as 120, but Dmitri Mendeleev in 1872 corrected it to 240 using his periodicity laws. This value was confirmed experimentally in 1882 by K. Zimmerman. Thorium oxide was discovered by Friedrich Wöhler in the mineral Thorianite, which was found in Norway (1827). Jöns Jacob Berzelius characterized this material in more detail by in 1828. By reduction of thorium tetrachloride with potassium, he isolated the metal and named it thorium after the Norse god of thunder and lightning Thor. The same isolation method was later used by Péligot for uranium. Actinium was discovered in 1899 by André-Louis Debierne, an assistant of Marie Curie, in the pitchblende waste left after removal of radium and polonium. He described the substance (in 1899) as similar to titanium and (in 1900) as similar to thorium. The discovery of actinium by Debierne was however questioned in 1971 and 2000, arguing that Debierne's publications in 1904 contradicted his earlier work of 1899–1900. This view instead credits the 1902 work of Friedrich Oskar Giesel, who discovered a radioactive element named emanium that behaved similarly to lanthanum. The name actinium comes from the Greek aktis, aktinos (ακτίς, ακτίνος), meaning beam or ray. This metal was discovered not by its own radiation but by the radiation of the daughter products. Owing to the close similarity of actinium and lanthanum and low abundance, pure actinium could only be produced in 1950. The term actinide was probably introduced by Victor Goldschmidt in 1937. Protactinium was possibly isolated in 1900 by William Crookes. It was first identified in 1913, when Kasimir Fajans and Oswald Helmuth Göhring encountered the short-lived isotope 234mPa (half-life 1.17 minutes) during their studies of the 238U decay. They named the new element brevium (from Latin brevis meaning brief); the name was changed to protoactinium (from Greek πρῶτος + ἀκτίς meaning "first beam element") in 1918 when two groups of scientists, led by the Austrian Lise Meitner and Otto Hahn of Germany and Frederick Soddy and John Cranston of Great Britain, independently discovered the much longer-lived 231Pa. The name was shortened to protactinium in 1949. This element was little characterized until 1960, when A. G. Maddock and his co-workers in the U.K. isolated 130 grams of protactinium from 60 tonnes of waste left after extraction of uranium from its ore.
Neptunium (named for the planet Neptune, the next planet out from Uranus, after which uranium was named) was discovered by Edwin McMillan and Philip H. Abelson in 1940 in Berkeley, California. They produced the 239Np isotope (half-life = 2.4 days) by bombarding uranium with slow neutrons. It was the first transuranium element produced synthetically. 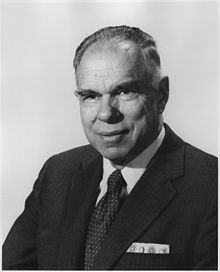 Glenn T. Seaborg and his group at the University of California at Berkeley synthesized Pu, Am, Cm, Bk, Cf, Es, Fm, Md, No and element 106, which was later named seaborgium in his honor while he was still living. They also synthesized more than a hundred actinide isotopes. This synthesis reaction was used by Fermi and his collaborators in their design of the reactors located at the Hanford Site, which produced significant amounts of plutonium-239 for the nuclear weapons of the Manhattan Project and the United States' post-war nuclear arsenal. Bombarding curium-242 with α-particles resulted in an isotope of californium 245Cf (1950), and a similar procedure yielded in 1949 berkelium-243 from americium-241. The new elements were named after Berkeley, California, by analogy with its lanthanide homologue terbium, which was named after the village of Ytterby in Sweden. In 1945, B. B. Cunningham obtained the first bulk chemical compound of a transplutonium element, namely americium hydroxide. Over the next three to four years, milligram quantities of americium and microgram amounts of curium were accumulated that allowed production of isotopes of berkelium (Thomson, 1949) and californium (Thomson, 1950). Sizeable amounts of these elements were produced only in 1958 (Burris B. Cunningham and Stanley G. Thomson), and the first californium compound (0.3 µg of CfOCl) was obtained only in 1960 by B. B. Cunningham and J. C. Wallmann. Einsteinium and fermium were identified in 1952–1953 in the fallout from the "Ivy Mike" nuclear test (1 November 1952), the first successful test of a hydrogen bomb. Instantaneous exposure of uranium-238 to a large neutron flux resulting from the explosion produced heavy isotopes of uranium, including uranium-253 and uranium-255, and their β-decay yielded einsteinium-253 and fermium-255. The discovery of the new elements and the new data on neutron capture were initially kept secret on the orders of the U.S. military until 1955 due to Cold War tensions. Nevertheless, the Berkeley team were able to prepare einsteinium and fermium by civilian means, through the neutron bombardment of plutonium-239, and published this work in 1954 with the disclaimer that it was not the first studies that had been carried out on the elements. The "Ivy Mike" studies were declassified and published in 1955. The first significant (submicrograms) amounts of einsteinium were produced in 1961 by Cunningham and colleagues, but this has not been done for fermium yet. Actinides have 89−103 protons and usually 117−159 neutrons. Thirty-one isotopes of actinium and eight excited isomeric states of some of its nuclides were identified by 2010. Three isotopes, 225Ac, 227Ac and 228Ac, were found in nature and the others were produced in the laboratory; only the three natural isotopes are used in applications. Actinium-225 is a member of the radioactive neptunium series; it was first discovered in 1947 as a decay product of uranium-233, it is an α-emitter with a half-life of 10 days. Actinium-225 is less available than actinium-228, but is more promising in radiotracer applications. Actinium-227 (half-life 21.77 years) occurs in all uranium ores, but in small quantities. One gram of uranium (in radioactive equilibrium) contains only 2×10−10 gram of 227Ac. Actinium-228 is a member of the radioactive thorium series formed by the decay of 228Ra; it is a β− emitter with a half-life of 6.15 hours. In one tonne of thorium there is 5×10−8 gram of 228Ac. It was discovered by Otto Hahn in 1906. 28 isotopes of protactinium are known with mass numbers 212–239 as well as three excited isomeric states. Only 231Pa and 234Pa have been found in nature. All the isotopes have short lifetime, except for protactinium-231 (half-life 32,760 years). The most important isotopes are 231Pa and 233Pa, which is an intermediate product in obtaining uranium-233 and is the most affordable among artificial isotopes of protactinium. 233Pa has convenient half-life and energy of γ-radiation, and thus was used in most studies of protactinium chemistry. Protactinium-233 is a β-emitter with a half-life of 26.97 days. Uranium has the highest number of both natural and synthetic isotopes being 25. They have mass numbers of 215–242 (except 220 and 241), and three of them, 234U, 235U and 238U, are present in appreciable quantities in nature. Among others, the most important is 233U, which is a final product of transformations of 232Th irradiated by slow neutrons. 233U has a much higher fission efficiency by low-energy (thermal) neutrons, compared e.g. with 235U. Most uranium chemistry studies were carried out on uranium-238 owing to its long half-life of 4.4×109 years. There are 23 isotopes of neptunium with mass numbers of 219 and 223–244; they are all highly radioactive. The most popular among scientists are long-lived 237Np (t1/2 = 2.20×106 years) and short-lived 239Np, 238Np (t1/2 ~ 2 days). Eighteen isotopes of americium are known with mass numbers from 229 to 247 (with the exception of 231). The most important are 241Am and 243Am, which are alpha-emitters and also emit soft, but intense γ-rays; both of them can be obtained in an isotopically pure form. Chemical properties of americium were first studied with 241Am, but later shifted to 243Am, which is almost 20 times less radioactive. The disadvantage of 243Am is production of the short-lived daughter isotope 239Np, which has to be considered in the data analysis. Among 19 isotopes of curium, the most accessible are 242Cm and 244Cm; they are α-emitters, but with much shorter lifetime than the americium isotopes. These isotopes emit almost no γ-radiation, but undergo spontaneous fission with the associated emission of neutrons. More long-lived isotopes of curium (245–248Cm, all α-emitters) are formed as a mixture during neutron irradiation of plutonium or americium. Upon short irradiation, this mixture is dominated by 246Cm, and then 248Cm begins to accumulate. Both of these isotopes, especially 248Cm, have a longer half-life (3.48×105 years) and are much more convenient for carrying out chemical research than 242Cm and 244Cm, but they also have a rather high rate of spontaneous fission. 247Cm has the longest lifetime among isotopes of curium (1.56×107 years), but is not formed in large quantities because of the strong fission induced by thermal neutrons. Eighteen isotopes of berkelium were identified with mass numbers 233–234, 236, and 238–252. Only 249Bk is available in large quantities; it has a relatively short half-life of 330 days and emits mostly soft β-particles, which are inconvenient for detection. Its alpha radiation is rather weak (1.45×10−3% with respect to β-radiation), but is sometimes used to detect this isotope. 247Bk is an alpha-emitter with a long half-life of 1,380 years, but it is hard to obtain in appreciable quantities; it is not formed upon neutron irradiation of plutonium because of the β-stability of isotopes of curium isotopes with mass number below 248. The 20 isotopes of californium with mass numbers 237–256 are formed in nuclear reactors; californium-253 is a β-emitter and the rest are α-emitters. The isotopes with even mass numbers (250Cf, 252Cf and 254Cf) have a high rate of spontaneous fission, especially 254Cf of which 99.7% decays by spontaneous fission. Californium-249 has a relatively long half-life (352 years), weak spontaneous fission and strong γ-emission that facilitates its identification. 249Cf is not formed in large quantities in a nuclear reactor because of the slow β-decay of the parent isotope 249Bk and a large cross section of interaction with neutrons, but it can be accumulated in the isotopically pure form as the β-decay product of (pre-selected) 249Bk. 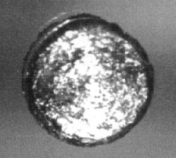 Californium produced by reactor-irradiation of plutonium mostly consists of 250Cf and 252Cf, the latter being predominant for large neutron fluences, and its study is hindered by the strong neutron radiation. Among the 18 known isotopes of einsteinium with mass numbers from 240 to 257, the most affordable is 253Es. It is an α-emitter with a half-life of 20.47 days, a relatively weak γ-emission and small spontaneous fission rate as compared with the isotopes of californium. Prolonged neutron irradiation also produces a long-lived isotope 254Es (t1/2 = 275.5 days). Twenty isotopes of fermium are known with mass numbers of 241–260. 254Fm, 255Fm and 256Fm are α-emitters with a short half-life (hours), which can be isolated in significant amounts. 257Fm (t1/2 = 100 days) can accumulate upon prolonged and strong irradiation. All these isotopes are characterized by high rates of spontaneous fission. Among the 16 known isotopes of mendelevium (mass numbers from 245 to 260), the most studied is 256Md, which mainly decays through the electron capture (α-radiation is ≈10%) with the half-life of 77 minutes. Another alpha emitter, 258Md, has a half-life of 53 days. Both these isotopes are produced from rare einsteinium (253Es and 255Es respectively), that therefore limits their availability. Long-lived isotopes of nobelium and isotopes of lawrencium (and of heavier elements) have relatively short half-lives. For nobelium, 11 isotopes are known with mass numbers 250–260 and 262. The chemical properties of nobelium and lawrencium were studied with 255No (t1/2 = 3 min) and 256Lr (t1/2 = 35 s). The longest-lived nobelium isotope, 259No, has a half-life of approximately 1 hour. Lawrencium has 12 known isotopes with mass numbers 252-262 and 266. The most stable of them all is 266Lr with a half life of 11 hours. Among all of these, the only isotopes that occur in sufficient quantities in nature to be detected in anything more than traces and have a measurable contribution to the atomic weights of the actinides are the primordial 232Th, 235U, and 238U, and three long-lived decay products of natural uranium, 230Th, 231Pa, and 234U. Natural thorium consists of 0.02(2)% 230Th and 99.98(2)% 232Th; natural protactinium consists of 100% 231Pa; and natural uranium consists of 0.0054(5)% 234U, 0.7204(6)% 235U, and 99.2742(10)% 238U. Thorium and uranium are the most abundant actinides in nature with the respective mass concentrations of 16 ppm and 4 ppm. 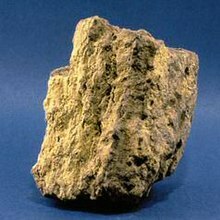 Uranium mostly occurs in the Earth's crust as a mixture of its oxides in the minerals uraninite, which is also called pitchblende because of its black color. There are several dozens of other uranium minerals such as carnotite (KUO2VO4·3H2O) and autunite (Ca(UO2)2(PO4)2·nH2O). The isotopic composition of natural uranium is 238U (relative abundance 99.2742%), 235U (0.7204%) and 234U (0.0054%); of these 238U has the largest half-life of 4.51×109 years. The worldwide production of uranium in 2009 amounted to 50,572 tonnes, of which 27.3% was mined in Kazakhstan. Other important uranium mining countries are Canada (20.1%), Australia (15.7%), Namibia (9.1%), Russia (7.0%), and Niger (6.4%). The most abundant thorium minerals are thorianite (ThO2), thorite (ThSiO4) and monazite, ((Th,Ca,Ce)PO4). Most thorium minerals contain uranium and vice versa; and they all have significant fraction of lanthanides. Rich deposits of thorium minerals are located in the United States (440,000 tonnes), Australia and India (~300,000 tonnes each) and Canada (~100,000 tonnes). The abundance of actinium in the Earth's crust is only about 5×10−15%. Actinium is mostly present in uranium-containing, but also in other minerals, though in much smaller quantities. The content of actinium in most natural objects corresponds to the isotopic equilibrium of parent isotope 235U, and it is not affected by the weak Ac migration. Protactinium is more abundant (10−12%) in the Earth's crust than actinium. It was discovered in the uranium ore in 1913 by Fajans and Göhring. As actinium, the distribution of protactinium follows that of 235U. Among the actinides, thorium and uranium are the easiest to isolate. Thorium is extracted mostly from monazite: thorium pyrophosphate (ThP2O7) is reacted with nitric acid, and the produced thorium nitrate treated with tributyl phosphate. Rare-earth impurities are separated by increasing the pH in sulfate solution. Sometimes thorium is extracted by electrolysis of a fluoride in a mixture of sodium and potassium chloride at 700–800 °C in a graphite crucible. Highly pure thorium can be extracted from its iodide with the crystal bar process. To extract plutonium, neutron-irradiated uranium is dissolved in nitric acid, and a reducing agent (FeSO4, or H2O2) is added to the resulting solution. This addition changes the oxidation state of plutonium from +6 to +4, while uranium remains in the form of uranyl nitrate (UO2(NO3)2). The solution is treated with a reducing agent and neutralized with ammonium carbonate to pH = 8 that results in precipitation of Pu4+ compounds. Approximate colors of actinide ions in aqueous solution. Colors for the last four actinides are unknown as sufficient quantities have not yet been synthesized. A pellet of 238PuO2 to be used in a radioisotope thermoelectric generator for either the Cassini or Galileo mission. The pellet produces 62 watts of heat and glows because of the heat generated by the radioactive decay (primarily α). Photo is taken after insulating the pellet under a graphite blanket for minutes and removing the blanket. Actinides are typical metals. All of them are soft and have a silvery color (but tarnish in air), relatively high density and plasticity. Some of them can be cut with a knife. Their electrical resistivity varies between 15 and 150 µOhm·cm. The hardness of thorium is similar to that of soft steel, so heated pure thorium can be rolled in sheets and pulled into wire. Thorium is nearly half as dense as uranium and plutonium, but is harder than either of them. All actinides are radioactive, paramagnetic, and, with the exception of actinium, have several crystalline phases: plutonium has seven, and uranium, neptunium and californium three. The crystal structures of protactinium, uranium, neptunium and plutonium do not have clear analogs among the lanthanides and are more similar to those of the 3d-transition metals. Chemically, actinium is similar to lanthanum, which is explained by their similar ionic radii and electronic structure. Like lanthanum, actinium almost always has an oxidation state of +3 in compounds, but it is less reactive and has more pronounced basic properties. Among other trivalent actinides Ac3+ is least acidic, i.e. has the weakest tendency to hydrolyze in aqueous solutions. Valence 3 is dominant in all subsequent elements up to lawrencium (with the exception of nobelium). Curium can be tetravalent in solids (fluoride, dioxide). Berkelium, along with a valence of +3, also shows the valence of +4, more stable than that of curium; the valence 4 is observed in solid fluoride and dioxide. The stability of Bk4+ in aqueous solution is close to that of Ce4+. Only valence 3 was observed for californium, einsteinium and fermium. The divalent state is proven for mendelevium and nobelium, and in nobelium it is more stable than the trivalent state. Lawrencium shows valence 3 both in solutions and solids. increases from −0.32 V in uranium, through 0.34 V (Np) and 1.04 V (Pu) to 1.34 V in americium revealing the increasing reduction ability of the An4+ ion from americium to uranium. All actinides form AnH3 hydrides of black color with salt-like properties. Actinides also produce carbides with the general formula of AnC or AnC2 (U2C3 for uranium) as well as sulfides An2S3 and AnS2. These bases are poorly soluble in water and by their activity are close to the hydroxides of rare-earth metals. Np(OH)3 has not yet been synthesized, Pu(OH)3 has a blue color while Am(OH)3 is pink and curium hydroxide Cm(OH)3 is colorless. Bk(OH)3 and Cf(OH)3 are also known, as are tetravalent hydroxides for Np, Pu and Am and pentavalent for Np and Am. The strongest base is of actinium. All compounds of actinium are colorless, except for black actinium sulfide (Ac2S3). Dioxides of tetravalent actinides crystallize in the cubic system, same as in calcium fluoride. Two protactinium oxides have been obtained: PaO2 (black) and Pa2O5 (white); the former is isomorphic with ThO2 and the latter is easier to obtain. Both oxides are basic, and Pa(OH)5 is a weak, poorly soluble base. Decomposition of certain salts of uranium, for example UO2(NO3)·6H2O in air at 400 °C, yields orange or yellow UO3. This oxide is amphoteric and forms several hydroxides, the most stable being uranyl hydroxide UO2(OH)2. Reaction of uranium(VI) oxide with hydrogen results in uranium dioxide, which is similar in its properties with ThO2. This oxide is also basic and corresponds to the uranium hydroxide (U(OH)4). Actinides easily react with halogens forming salts with the formulas MX3 and MX4 (X = halogen). So the first berkelium compound, BkCl3, was synthesized in 1962 with an amount of 3 nanograms. Like the halogens of rare earth elements, actinide chlorides, bromides, and iodides are water-soluble, and fluorides are insoluble. Uranium easily yields a colorless hexafluoride, which sublimates at a temperature of 56.5 °C; because of its volatility, it is used in the separation of uranium isotopes with gas centrifuge or gaseous diffusion. Actinide hexafluorides have properties close to anhydrides. They are very sensitive to moisture and hydrolyze forming AnO2F2. The pentachloride and black hexachloride of uranium were synthesized, but they are both unstable. Actinides with oxidation state +6, except for the AnO22+-type cations, form [AnO4]2−, [An2O7]2− and other complex anions. For example, uranium, neptunium and plutonium form salts of the Na2UO4 (uranate) and (NH4)2U2O7 (diuranate) types. In comparison with lanthanides, actinides more easily form coordination compounds, and this ability increases with the actinide valence. Trivalent actinides do not form fluoride coordination compounds, whereas tetravalent thorium forms K2ThF6, KThF5, and even K5ThF9 complexes. Thorium also forms the corresponding sulfates (for example Na2SO4·Th(SO4)2·5H2O), nitrates and thiocyanates. Salts with the general formula An2Th(NO3)6·nH2O are of coordination nature, with the coordination number of thorium equal to 12. Even easier is to produce complex salts of pentavalent and hexavalent actinides. The most stable coordination compounds of actinides – tetravalent thorium and uranium – are obtained in reactions with diketones, e.g. acetylacetone. Interior of a smoke detector containing americium-241. While actinides have some established daily-life applications, such as in smoke detectors (americium) and gas mantles (thorium), they are mostly used in nuclear weapons and use as a fuel in nuclear reactors. The last two areas exploit the property of actinides to release enormous energy in nuclear reactions, which under certain conditions may become self-sustaining chain reaction. Fast neutrons are slowed by moderators, which contain water, carbon, deuterium, or beryllium, as thermal neutrons to increase the efficiency of their interaction with uranium-235. The rate of nuclear reaction is controlled by introducing additional rods made of boron or cadmium or a liquid absorbent, usually boric acid. Reactors for plutonium production are called breeder reactor or breeders; they have a different design and use fast neutrons. Emission of neutrons during the fission of uranium is important not only for maintaining the nuclear chain reaction, but also for the synthesis of the heavier actinides. Uranium-239 converts via β-decay into plutonium-239, which, like uranium-235, is capable of spontaneous fission. The world's first nuclear reactors were built not for energy, but for producing plutonium-239 for nuclear weapons. The major application of plutonium has been in nuclear weapons, where the isotope plutonium-239 was a key component due to its ease of fission and availability. Plutonium-based designs allow reducing the critical mass to about a third of that for uranium-235. The "Fat Man"-type plutonium bombs produced during the Manhattan Project used explosive compression of plutonium to obtain significantly higher densities than normal, combined with a central neutron source to begin the reaction and increase efficiency. Thus only 6.2 kg of plutonium was needed for an explosive yield equivalent to 20 kilotons of TNT. (See also Nuclear weapon design.) Hypothetically, as little as 4 kg of plutonium—and maybe even less—could be used to make a single atomic bomb using very sophisticated assembly designs. Plutonium-238 is potentially more efficient isotope for nuclear reactors, since it has smaller critical mass than uranium-235, but it continues to release much thermal energy (0.56 W/g) by decay even when the fission chain reaction is stopped by control rods. Its application is limited by the high price (about US$1000/g). This isotope has been used in thermopiles and water distillation systems of some space satellites and stations. So Galileo and Apollo spacecraft (e.g. Apollo 14) had heaters powered by kilogram quantities of plutonium-238 oxide; this heat is also transformed into electricity with thermopiles. The decay of plutonium-238 produces relatively harmless alpha particles and is not accompanied by gamma-irradiation. Therefore, this isotope (~160 mg) is used as the energy source in heart pacemakers where it lasts about 5 times longer than conventional batteries. Actinium-227 is used as a neutron source. Its high specific energy (14.5 W/g) and the possibility of obtaining significant quantities of thermally stable compounds are attractive for use in long-lasting thermoelectric generators for remote use. 228Ac is used as an indicator of radioactivity in chemical research, as it emits high-energy electrons (2.18 MeV) that can be easily detected. 228Ac-228Ra mixtures are widely used as an intense gamma-source in industry and medicine. Slightly radioactive elements: the most stable isotope is very long-lived, with a half-life of over two million years. Significantly radioactive elements: the most stable isotope has half-life between 800 and 34,000 years. Plutonium, when entering the body through air, food or blood (e.g. a wound), mostly settles in the lungs, liver and bones with only about 10% going to other organs, and remains there for decades. The long residence time of plutonium in the body is partly explained by its poor solubility in water. Some isotopes of plutonium emit ionizing α-radiation, which damages the surrounding cells. The median lethal dose (LD50) for 30 days in dogs after intravenous injection of plutonium is 0.32 milligram per kg of body mass, and thus the lethal dose for humans is approximately 22 mg for a person weighing 70 kg; the amount for respiratory exposure should be approximately four times greater. Another estimate assumes that plutonium is 50 times less toxic than radium, and thus permissible content of plutonium in the body should be 5 µg or 0.3 µCi. Such amount is nearly invisible in under microscope. After trials on animals, this maximum permissible dose was reduced to 0.65 µg or 0.04 µCi. Studies on animals also revealed that the most dangerous plutonium exposure route is through inhalation, after which 5–25% of inhaled substances is retained in the body. Depending on the particle size and solubility of the plutonium compounds, plutonium is localized either in the lungs or in the lymphatic system, or is absorbed in the blood and then transported to the liver and bones. Contamination via food is the least likely way. In this case, only about 0.05% of soluble 0.01% insoluble compounds of plutonium absorbs into blood, and the rest is excreted. Exposure of damaged skin to plutonium would retain nearly 100% of it. A. Nichols, E. Schönfeld, R. Dersch, Monographie BIPM-5, Table of Radionuclides, Vol. 2 - A = 151 to 242, 2004. S. Hlavác, A. Marcinkowski, G. L. Molnár, A. L. Nichols, E. Schönfeld, V. R. Vanin, M. J. Woods, IAEA CRP "Update of X Ray and Gamma Ray Decay Data Standards for Detector Calibration and Other Applications", IAEA Scientific and Technical Information report STI/PUB/1287, May 2007, International Atomic Energy Agency, Vienna, Austria, ISBN 92-0-113606-4. ^ a b c Theodore Gray (2009). The Elements: A Visual Exploration of Every Known Atom in the Universe. New York: Black Dog & Leventhal Publishers. p. 240. ISBN 978-1-57912-814-2. ^ Neil G. Connelly; et al. (2005). "Elements". Nomenclature of Inorganic Chemistry. London: Royal Society of Chemistry. p. 52. ISBN 978-0-85404-438-2. ^ Greenwood, Norman N.; Earnshaw, Alan (1997). Chemistry of the Elements (2nd ed.). Butterworth-Heinemann. pp. 1230–1242. ISBN 978-0-08-037941-8. ^ a b Fields, P.; Studier, M.; Diamond, H.; Mech, J.; Inghram, M.; Pyle, G.; Stevens, C.; Fried, S.; Manning, W.; et al. (1956). "Transplutonium Elements in Thermonuclear Test Debris". Physical Review. 102 (1): 180–182. Bibcode:1956PhRv..102..180F. doi:10.1103/PhysRev.102.180. 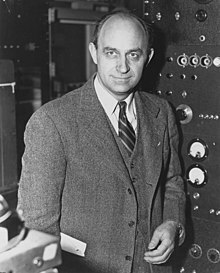 ^ E. Fermi (1934). "Possible Production of Elements of Atomic Number Higher than 92". Nature. 133 (3372): 898–899. Bibcode:1934Natur.133..898F. doi:10.1038/133898a0. ^ Jagdish Mehra; Helmut Rechenberg (20 April 2001). The historical development of quantum theory. Springer. pp. 966–. ISBN 978-0-387-95086-0. Retrieved 19 June 2011. ^ Seaborg, G. T. (1994). "Ch. 118. Origin of the actinide concept". In K.A. Gschneidner Jr., L; Eyring, G.R. Choppin; G.H. Landet. Handbook on the Physics and Chemistry of Rare Earths. 18 – Lanthanides/Actinides: Chemistry. Elsevier. pp. 4–6, 10–14. ^ Wallmann, J. C. (1959). "The first isolations of the transuranium elements: A historical survey". Journal of Chemical Education. 36 (7): 340. Bibcode:1959JChEd..36..340W. doi:10.1021/ed036p340. ^ Martin Heinrich Klaproth (1789). "Chemische Untersuchung des Uranits, einer neuentdeckten metallischen Substanz". Chemische Annalen. 2: 387–403. ^ Ingmar Grenthe (2006). "Uranium". The Chemistry of the Actinide and Transactinide Elements. pp. 253–698. doi:10.1007/1-4020-3598-5_5. ISBN 978-1-4020-3555-5. ^ Berzelius, J. J. (1829). "Undersökning af ett nytt mineral (Thorit), som innehåller en förut obekant jord" (Investigation of a new mineral (thorite), as contained in a previously unknown earth)". Kungliga Svenska Vetenskaps Akademiens Handlingar (Transactions of the Royal Swedish Science Academy): 1–30. ^ André-Louis Debierne (1899). "Sur un nouvelle matière radio-active". Comptes Rendus (in French). 129: 593–595. ^ André-Louis Debierne (1900–1901). "Sur un nouvelle matière radio-actif – l'actinium". Comptes Rendus (in French). 130: 906–908. ^ H. W. Kirby (1971). "The Discovery of Actinium". Isis. 62 (3): 290–308. doi:10.1086/350760. JSTOR 229943. ^ J. P. Adloff (2000). "The centenary of a controversial discovery: actinium". Radiochim. Acta. 88 (3–4_2000): 123–128. doi:10.1524/ract.2000.88.3-4.123. ^ a b c d e f g h i j Z. K. Karalova; B. Myasoedov (1982). Actinium. Analytical chemistry items. Moscow: Nauka. ^ George B. Kauffman (1997). "Victor Moritz Goldschmidt (1888–1947): A Tribute to the Founder of Modern Geochemistry on the Fiftieth Anniversary of His Death". The Chemical Educator. 2 (5): 1–26. doi:10.1007/s00897970143a. ^ John Emsley (2001). "Protactinium". Nature's Building Blocks: An A-Z Guide to the Elements. Oxford, England, UK: Oxford University Press. pp. 347–349. ISBN 978-0-19-850340-8. ^ a b K. Fajans; O. Gohring (1913). "Über die komplexe Natur des Ur X". Naturwissenschaften. 14 (14): 339. Bibcode:1913NW......1..339F. doi:10.1007/BF01495360. ^ K. Fajans; O. Gohring (1913). "Über das Uran X2-das neue Element der Uranreihe". Physikalische Zeitschrift. 14: 877–84. ^ Edwin McMillan; Abelson, Philip (1940). "Radioactive Element 93". Physical Review. 57 (12): 1185–1186. Bibcode:1940PhRv...57.1185M. doi:10.1103/PhysRev.57.1185.2. ^ a b c d e f V.A. Mikhailov, ed. (1971). Analytical chemistry of neptunium. Moscow: Nauka. ^ Hanford Cultural Resources Program, U.S. Department of Energy (2002). Hanford Site Historic District: History of the Plutonium Production Facilities, 1943–1990. Columbus, OH: Battelle Press. p. 1.22–1.27. doi:10.2172/807939. ISBN 978-1-57477-133-6. ^ Nina Hall (2000). The New Chemistry: A Showcase for Modern Chemistry and Its Applications. Cambridge University Press. pp. 8–9. ISBN 978-0-521-45224-3. ^ Thompson, S. G.; Ghiorso, A.; Seaborg, G. T. (1950). "Element 97". Phys. Rev. 77 (6): 838–839. Bibcode:1950PhRv...77..838T. doi:10.1103/PhysRev.77.838.2. ^ Thompson, S. G.; Ghiorso, A.; Seaborg, G. T. (1950). "The New Element Berkelium (Atomic Number 97)". Phys. Rev. 80 (5): 781–789. Bibcode:1950PhRv...80..781T. doi:10.1103/PhysRev.80.781. ^ Thompson, S.; Ghiorso, A.; Seaborg, G. (1950). "Element 97". Physical Review. 77 (6): 838–839. Bibcode:1950PhRv...77..838T. doi:10.1103/PhysRev.77.838.2. ^ Thompson, S.; Ghiorso, A.; Seaborg, G. (1950). "The New Element Berkelium (Atomic Number 97)". Physical Review. 80 (5): 781–789. Bibcode:1950PhRv...80..781T. doi:10.1103/PhysRev.80.781. ^ S. G. Thompson; K. Street Jr.; A. Ghiorso; G. T. Seaborg (1950). "Element 98". Physical Review. 78 (3): 298–299. Bibcode:1950PhRv...78..298T. doi:10.1103/PhysRev.78.298.2. ^ S. G. Thompson; K. Street Jr.; A. Ghiorso; G. T. Seaborg (1950). "The New Element Californium (Atomic Number 98)" (PDF). Physical Review. 80 (5): 790–796. Bibcode:1950PhRv...80..790T. doi:10.1103/PhysRev.80.790. ^ K. Street Jr.; S. G. Thompson; G. T. Seaborg (1950). "Chemical Properties of Californium". J. Am. Chem. Soc. 72 (10): 4832–4835. doi:10.1021/ja01166a528. hdl:2027/mdp.39015086449173. ^ a b A. Ghiorso; S. G. Thompson; G. H. Higgins; G. T. Seaborg; M. H. Studier; P. R. Fields; S. M. Fried; H. Diamond; J. F. Mech; G. L. Pyle; J. R. Huizenga; A. Hirsch; W. M. Manning; C. I. Browne; H. L. Smith; R. W. Spence (1955). "New Elements Einsteinium and Fermium, Atomic Numbers 99 and 100". Phys. Rev. 99 (3): 1048–1049. Bibcode:1955PhRv...99.1048G. doi:10.1103/PhysRev.99.1048. ^ S. Thompson; A. Ghiorso; B. G. Harvey; G. R. Choppin (1954). "Transcurium Isotopes Produced in the Neutron Irradiation of Plutonium". Physical Review. 93 (4): 908. Bibcode:1954PhRv...93..908T. doi:10.1103/PhysRev.93.908. ^ G. R. Choppin; S. G. Thompson; A. Ghiorso; B. G. Harvey (1954). "Nuclear Properties of Some Isotopes of Californium, Elements 99 and 100". Physical Review. 94 (4): 1080–1081. Bibcode:1954PhRv...94.1080C. doi:10.1103/PhysRev.94.1080. ^ Albert Ghiorso (2003). "Einsteinium and Fermium". Chemical and Engineering News. 81 (36). ^ A. Ghiorso; B. Harvey; G. Choppin; S. Thompson; G. Seaborg (1955). New Element Mendelevium, Atomic Number 101. Physical Review. 98. pp. 1518–1519. Bibcode:1955PhRv...98.1518G. doi:10.1103/PhysRev.98.1518. ISBN 978-981-02-1440-1. ^ a b c d e f g h i "Table of nuclides, IAEA". Retrieved 7 July 2010. ^ a b c d e f g E.S. Palshin (1968). Analytical chemistry of protactinium. Moscow: Nauka. ^ I.P. Alimarin (1962). A.P. Vinogradov, ed. Analytical chemistry of uranium. Moscow: Publisher USSR Academy of Sciences. ^ "Table of elements, compounds, isotopes" (in Russian). Archived from the original on 12 July 2010. Retrieved 7 July 2010. ^ Jay H. Lehr; Janet K. Lehr (2000). Standard handbook of environmental science, health, and technology. McGraw-Hill Professional. pp. 2–38. ISBN 978-0-07-038309-8. ^ a b c d e f g h i Yu.D. Tretyakov, ed. (2007). Non-organic chemistry in three volumes. Chemistry of transition elements. 3. Moscow: Academy. ISBN 978-5-7695-2533-9. ^ "World Uranium Mining". World Nuclear Association. Archived from the original on 26 June 2010. Retrieved 11 June 2010. ^ a b c F. Weigel; J. Katz; G. Seaborg (1997). The Chemistry of the Actinide Elements. 2. Moscow: Mir. ISBN 978-5-03-001885-0. ^ A. E. van Arkel; de Boer, J. H. (1925). "Darstellung von reinem Titanium-, Zirkonium-, Hafnium- und Thoriummetall". Zeitschrift für Anorganische und Allgemeine Chemie (in German). 148 (1): 345–350. doi:10.1002/zaac.19251480133. ^ I.L. Knunyants (1961). Short Chemical Encyclopedia. 1. Moscow: Soviet Encyclopedia. ^ a b John Emsley (2011). Nature's Building Blocks: An A-Z Guide to the Elements (New ed.). New York, NY: Oxford University Press. ISBN 978-0-19-960563-7. ^ Peterson, Ivars (7 December 1991). "Uranium displays rare type of radioactivity". Science News. Archived from the original on 18 January 2012. ^ a b B.A. Nadykto; L.F. Timofeeva, eds. (2003). Plutonium. Fundamental Problems. 1. Sarov: VNIIEF. ISBN 978-5-9515-0024-3. ^ M. S. Milyukova (1965). Analytical chemistry of plutonium. Moscow: Nauka. ISBN 978-0-250-39918-5. ^ Deblonde, Gauthier J.-P.; Sturzbecher-Hoehne, Manuel; Jong, Wibe A. de; Brabec, Jiri; Corie Y. Ralston; Illy, Marie-Claire; An, Dahlia D.; Rupert, Peter B.; Strong, Roland K. (September 2017). "Chelation and stabilization of berkelium in oxidation state +IV". Nature Chemistry. 9 (9): 843–849. doi:10.1038/nchem.2759. ISSN 1755-4349. PMID 28837177. ^ a b "Таблица Inorganic and Coordination compounds" (in Russian). Retrieved 11 July 2010. ^ According to other sources, cubic sesquioxide of curium is olive-green. See "Соединения curium site XuMuK.ru" (in Russian). Archived from the original on 18 August 2010. Retrieved 11 July 2010. ^ The atmosphere during the synthesis affects the lattice parameters, which might be due to non-stoichiometry as a result of oxidation or reduction of the trivalent californium. Main form is the cubic oxide of californium(III). ^ L.R. Morss; Norman M. Edelstein; Jean Fuger (2011). The Chemistry of the Actinide and Transactinide Elements (Set Vol.1–6). Springer. pp. 2139–. ISBN 978-94-007-0210-3. ^ a b Krivovichev, Sergei; Burns, Peter; Tananaev, Ivan (2006). "Chapter 3". Structural Chemistry of Inorganic Actinide Compounds. Elsevier. pp. 67–78. ISBN 978-0-08-046791-7. ^ Nave, S.; Haire, R.; Huray, Paul (1983). "Magnetic properties of actinide elements having the 5f6 and 5f7 electronic configurations". Physical Review B. 28 (5): 2317–2327. Bibcode:1983PhRvB..28.2317N. doi:10.1103/PhysRevB.28.2317. ^ G. G. Bartolomei; V. D. Baybakov; M. S. Alkhutov; G. A. Bach (1982). Basic theories and methods of calculation of nuclear reactors. Moscow: Energoatomizdat. ^ Sergey Popov; Alexander Sergeev (2008). "Universal Alchemy". Vokrug Sveta (in Russian). 2811 (4). ^ David L. Heiserman (1992). "Element 94: Plutonium". Exploring Chemical Elements and their Compounds. New York: TAB Books. p. 338. ISBN 978-0-8306-3018-9. ^ John Malik (September 1985). The Yields of the Hiroshima and Nagasaki Explosions (PDF). Los Alamos. p. Table VI. LA-8819. Archived (PDF) from the original on 24 February 2009. Retrieved 15 February 2009. ^ FAS contributors (1998). "Nuclear Weapon Design". Federation of American Scientists. Archived from the original on 26 December 2008. Retrieved 7 December 2008. ^ a b B.E. Burakov; M.I Ojovan; W.E. Lee (2010). Crystalline Materials for Actinide Immobilisation. World Scientific. ISBN 978-1848164185. ^ M. I. Ojovan; W.E. Lee (2005). An Introduction to Nuclear Waste Immobilisation. Amsterdam: Elsevier. ISBN 978-0080444628. ^ "Half-lives and branching fractions for actinides and natural decay products". www-nds.iaea.org. IAEA. Retrieved 29 September 2018. Myasoedov, B. (1972). Analytical chemistry of transplutonium elements. Moscow: Nauka. ISBN 978-0-470-62715-0.